Free Tax Help is what the doctor ordered for many Americans. When you find yourself over your head with your tax burden weighing down your potential income. Free Tax Help is the only alternative for many Americans. Without being able to afford a trained IRS Tax Professional then the only choice is to settle for you can find for Free Tax Help. 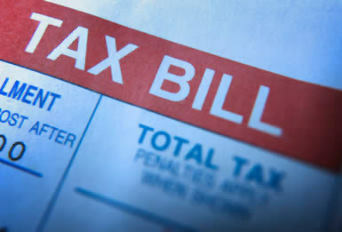 I hope you find what it is you are looking for regarding Free Tax Help. Soon I’ll be adding a list of Free Tax Help type websites. I’ll select them based on several criteria to ensure they are not an internet trick to get you signed up for somthing you don’t want. I have just completed my 2007 Taxes. I owe about $6700 and I’m not able to pay all of that amount until the middle of January. Should I sent a partical payment now or wait until I have the full amount? What is the cost basis of a commercial property that was purchased 20 years ago for $20,000 that appreciates to $200,000 when one of the joint owners dies? Is the cost $10,000 (1/2 the original) plus 1/2 the current market value? It really depends if you have made any arraignments with the IRS for payment or you simply have not paid your 2007 taxes and currently want to straighten out your back taxes. Just keep in mind that the IRS will be charging you interest on any unpaid amounts. The big question is do you take the standard deductions or Itemize everything. There are more deductions if you itemize everything such as being able to claim your medical bills and your car mileage used for business purposes. Keep in mind you can only claim car mileage over your one way trip to and from your place of employment or if you do outside work your trip to your first call and your trip from your last call. Two years ago I inherited my father’s mobile home. I sold it in 2008. It sold for less than is was worth when I inherited it. It is in Rhode Island and did not include the land. In RI, there are no deeds for mobil homes, only a bill of sale. Do I need to report the proceeds of the sale? If yes, where? If yes, how do I show a loss? Furthermore, I inherited the mobile home with my two siblings, so I only had a third share. I spend time answering these questions about IRS information and where to get it because I just want to learn more and I’m willing to help others by sharing the questions and answers I find about IRS proceedures on this website. I’ll respond time permitting as best as I can. IRSQuestions.org will continue to grow as I continue to find answers to questions related to IRS Tax Questions or Forms. Please remember I’m not affiliated with the IRS in any way and I’m not giving legal advice. It is your responsibility to know the IRS Tax Law. MY wife just bought a new car, and from reading the details from the new Stimulus bill, there is a deduction, right? Can this deduction be taken for ’08 (this tax return) or do we have to wait till next year? I’ve searched all thru the IRS.gov website and the latest information I found regarding the Stimulus was dated July 16, 2008 and it said nothing about new car deduction. If new car loan interest is acceptable as a new IRS Tax Deduction I’ll make a point of learning about it. I’m sure many American’s would appreciate finding out about that ASAP. Here is the link regarding the Economic Stimulus Payment Information Center. In the near future I’ll add a page to IRSQuestions.org where I’ll list questions I could not find the answers. In that section, I’ll ask others for help to answer these TAX or IRS type questions. We more help we’ll all benefit. If I formerly lived and worked in Florida (2007) and the company I worked for is making a financial settlement to me and I now live and work in California (2009): 1) How should I receive this money to limit taxation? 2) Do I have to pay California state income taxes OR does this count as dollars earned when working in Florida and no state tax is due? In calculating foreign tax credit, (form 1116) does the money withheld by the British for “National Insurance Contribution” count as tax? My husband has been an employee of a mission organization in GA but on Jan. 2010 will not be with them. He is a chaplain of a company and his boss pays him thru a Foundation that has been sending the money to the mission org. for tax purposes. Some other private individuals send us monetary gifts as well. Can this money now be sent to a church, designated for my husband, and still be tax deductible to those sending the money? He will be doing some missions consulting work with the church on a part time basis. Does he need to be an “employee” of the church for this to be acceptable to the IRS or can he just be on a consultant status? Thanks! I AM LIVING IN BURUNDI (AFRICA) I RENT A HOME, BUT THE COST OF RENOVATION, REPAIRS ETC FALL TO US, CAN THIS COST BE DEDUCTED WHEN FILING OUR TAXES? The IRS told me that a United States legal resident with a green card who works for a foreign embassy here in the United States (California) should report that income as self-employment and pay self-employment taxes to receive future benefits upon retirement. I called the IRS and I was told that a US legal resident is treated as a US citizen as far as Federal taxes are concerned, and they have to pay taxes on their income just like a US citizen, but I want to make sure how that person should report their income for Social Security self-employment taxes. Moreover, in this particular case the foreign government does not pay for Social Security or Medicare in the United States for this employee and this person wants to be entitled to future retirement benefits. As you may imagine I am very confused and after speaking with several tax professionals, IRS agents and the SSA I still can’t find the answer to my question. How to report such wages and if this person is required to do so. I’ve taken the time to read thru each link and I agree that there are voids in the descriptions as far as having your Social Security contributions withheld. It appears to me that because you are working for a foreign government there really is no facility to force the employer to deduct from your salary and submit Social Security payments to the US Government on your behalf. This means that when it does come time for you to collect Social Security the amount you’ve paid in will be substandard as compared to the earnings level you’ve been accustomed to . I can’t see a way around this, it does appear to be a loophole. Regarding if you are defined as self employed or not. My conclusion is that you are in fact self employed working for a foreign government. As a result, this ties into the Social Security contribution issue above. Keep in mind I’m not an attorney but I do believe you should set yourself up to contribute to Social Security system just as any other Self Employed person would. I know it is a big jump to go from working for someone and the FICA , Insurance and Social Security payments are done for you, to a FULLY Self employed individual where you need to maintain your future benefits yourself. In addition to factual this may also be an emotional jump for you. As a result you may postpone action. I would suggest you set yourself up that way as I would think the worst case would be that you do not prepare for your retirement and suddenly find yourself older, not capable and at the mercy of living on your SSI benefits that would be based on your payments into the system. Good Luck Maria, I wish you the best.